Is your office short on space? 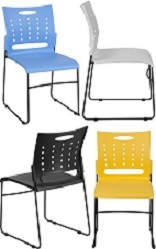 For offices that have constantly changing seating needs or limited space, stacking chairs are a cost-effective and practical solution. 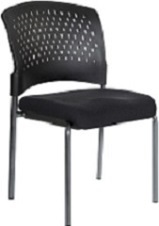 They are useful in restaurants, churches, hotels, cafeterias, and conference rooms, for seminars, or in reception rooms. 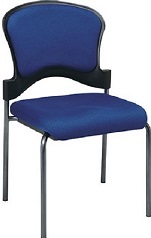 When not in use, you can stack them on top of each other and store them in a closet or unused corner of an office. 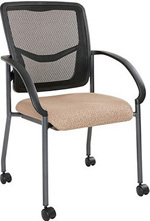 At Office-Chairs-Discount.com, we offer a variety of stacking chairs from the budget-friendly to high end. 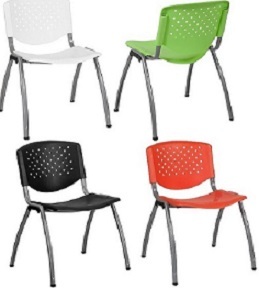 Most are already assembled and ship directly from our factories in North Carolina or California. 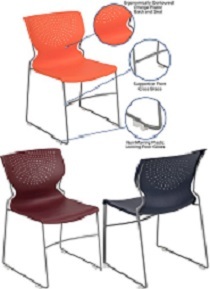 For easy ordering online, you just select the model, quantity, color, and fabric choice, if applicable. 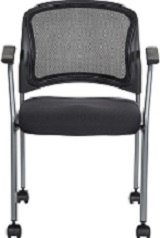 Many styles of office stacking chairs come with optional ganging brackets. 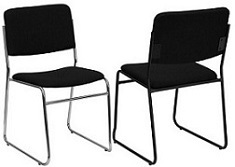 These allow you to connect chairs together in rows to keep them in order similar to bench and tandem & beam seating. If you plan to keep the chairs stacked or to rearrange them on a regular basis, you might also want to order transport dollies to go with your chairs. 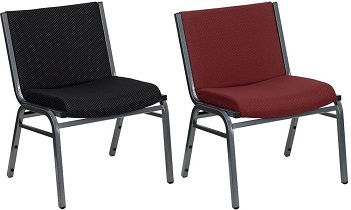 These allow you to easily move stacks of chairs from one room to another, quickly. 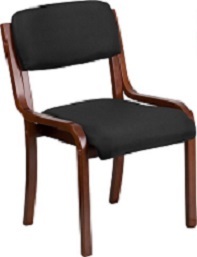 If you will use your stacking chairs chairs regularly, choose ergonomic designs or chairs with armrests. 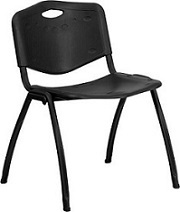 For occasional use where your budget is more of a factor than comfort, you can purchase a more simplistic or less durable model. 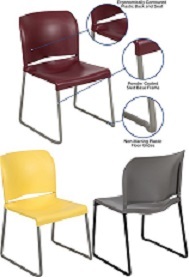 Some of our styles also have optional bookracks and kneelers for use in worship services--please inquire if you need these features. 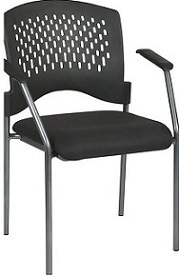 Contact us today at #1.800.653.0003 to find out more about our mesh office chair inventory, high-volume discounts, or white glove service. Serving businesses across the nation, we will gladly ship purchases to companies in California, Arizona, Texas, Wisconsin, Ohio, New York, and more.